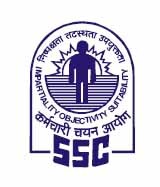 Government of India Ministry of Personnel, Public Grievances & Pensions, Staff Selection Commission (SSC), North Western Region (NWR), Chandigarh invites applications from Indian National candidates for recruitment to the various Group 'B' (Non-Gazetted) & 'C' posts by Staff Selection Commission (NWR) Chandigarh. The closing date for receipt of applications is 26th September 2016. Selection Process: Shortlisted candidates will be called for OMR/Computerised Based Objective Type Multiple Choice Examination based on the percentage of marks in Essential Qualifications as indicated by them in their application. Candidates will be shortlisted in the ratio of 1:25, i.e. 25 candidates for every vacancy, subject to availability of sufficient number of eligible candidates. How to Apply: Eligible candidates are required to Apply Online through SSC Online portal on or before 26/09/2016 up to 5:00 PM. After filling up the Online Application Form Online and after making payment of Examination Fee, candidate should take a print out of the Application Form, sign the same, affix a copy of the same photograph used for filling up online application and attach self-attested copies of Certificates/ documents in support of age, Essential Qualifications, Experience, where it is prescribed as Essential Qualification, proof of Caste/Category [SC/ST/OBC/PH(PWD)/EXS - in the format as given in the Notice] issued by the Competent Authority and send the same to The Deputy Regional Director Staff Selection Commission, North Western Region, Kendriya Sadan, Ground Floor, Sector - 9A, Chandigarh - 160 009 so as to reach the Regional Office within ten days from the last date prescribed for payment of fee.